Welcome to the HCC Online Bookstore conveniently located in the Student Center. The Bookstore is pleased to offer the option of purchasing your books on-line, with payment by credit card. This is not a reserve, all credit cards will be charged and sales are final (see exception below). This service is being offered to decrease your amount of wait time, and insures that you have the books you want in time for the start of class. All orders do require pickup at the HCC Campus Store. We are striving towards offering this service for those using financial aid, however, we are not there yet, our apologies. You receive the personal assistance of knowledgeable staff to insure all of your classroom needs are met. Guarantee that you will receive the correct textbook for your class. Speedy service, no need to worry over if the textbook will arrive in time. No hassle returns if you drop a course. In the event you drop a class, simply return the book within the first week of class, along with a copy of your revised schedule and sales receipt. A refund will be provided on the spot. No waiting for the credit, no postage to worry with! Your campus store stocks a large number of used books, which can provide huge discounts to the standard price. When feasible, books will be bought back from students through our ‘buyback’ program. Our buyback purchases offers you a better return on your money, then those offered by Amazon and other online competitors. Only books purchased through our store may be sold back during the buyback period. Buybacks are influenced by a number of factors, therefore, HCC cannot guarantee that every book purchased will be bought back. Continuation of course offerings, number of books needed for the new semester, newer editions and changes in course content can all influence if a book will qualify for the buyback event. Please allow 24 hours for the Bookstore to process your order. Weekends and holidays do not count towards this processing period. As all sales are final (see return policy for exceptions), you should not use this site to hold books while you shop around. 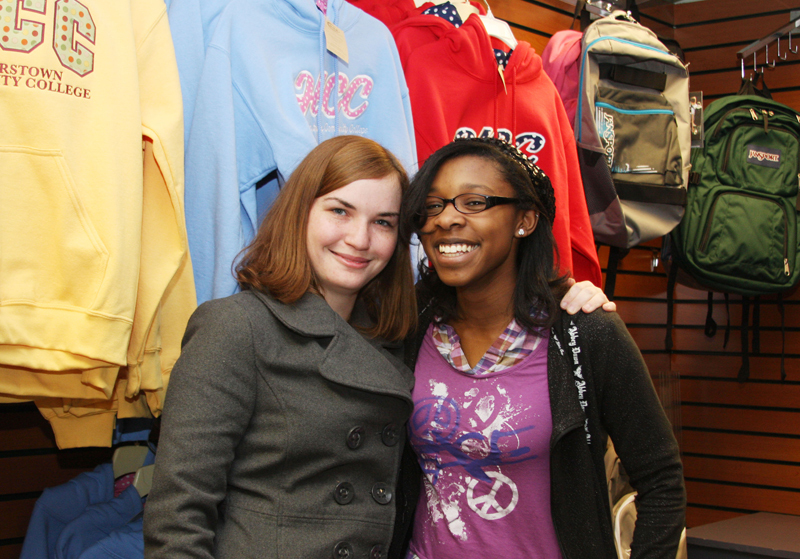 Our On-Campus Bookstore also offers HCC clothing, school supplies, book bags, software at discount prices, and snacks in addition to textbooks, so please allow time for browsing in our store if it is your first visit. Extended Hours: The store hours are extended on the weekend and evenings during registration and book buyback. Methods of Payment: We accept payments by cash, Visa, MasterCard or Discover Card.